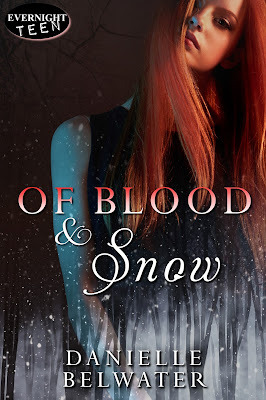 Today I’m very lucky to be interviewing Danielle Belwater author of "Of Blood and Snow," book two of the Erlanis Chronicles. Hi Danielle, thank you for agreeing to this interview. Tell us a little about yourself and your background? This is always a tricky question! Like a lot of people I struggle talking about myself. I’m a country girl, and live on a property with my family and all our pets South East of Adelaide, South Australia. When I’m not writing, I’m spending time with my family or decorating cakes. I love being creative in a totally different media. I've always wanted to visit Australia, It's on my bucket list. I want to finish the Erlanis Chronicles. There is at least one more book in the works, but if I get to the end of writing book 3 and there are more stories to tell, well, I’m just the messenger. I also have a series based in Japanese mythology and a broad, sweeping fantasy series in the pipeline. Wow, you're one busy mama. I love it! I am definitely putting these on my "too read list." quiet and let me tell you about them! Nate, while a typical teenager, has an inner strength and wiseness beyond his years, even though he acts like a 12 year old sometimes. gifts. Cora sees them as a weakness, but she just needs to let go of the fear and be the champion everyone else sees her as. Interesting, your characters sound very down to earth but extraordinary at the same time. I’ve always got stories in the works. I’m currently writing Book 3 in the Erlanis Chronicles, which continues the story of Nate and Cora but the focus shifts and things go in an unexpected direction. I’m also writing a novel called “Let Her Go”which is a ghost love story based in Japanese mythology. Ghost love story? How do you come up with this stuff? I'm intrigued and will keep my eye out for that one in the future. I always thought Shailene Woodley would play Cora, but after seeing Mia Wasikowska in a few things lately, I think she’d do a bang up job as Cora as well. But in saying that, I do adore Chloe Grace Moretz, oh dear, I can’t choose. Nate has got that Josh Hutcherson vibe going on, but Nate is hotter and taller. I'm always a fan of Josh Hutcherson, good choice. I don't know how you could pick between those three actresses? They are all amazing. When I was 5. I can still remember sitting on my bed when I was little and when my Dad asked the question that all parents ask their kids, what do you want to be when you grow up? I said a writer. I kind of got sidetracked along the way, but always knew that one day I would get to where I am. I love hearing stories like this, it makes it all that much better when your dreams come true and you become an author. It's fulfilling a life long goal. Structure? There is no structure, when I have five minutes or an idea, I scribble down whatever I can. I don’t really have a process. Sometimes I think this is better. feel like when you sit down to write, it has to be forced and we all know that forcing it never turns out the way you want it to. Do you write every day, or when you have time? It will depend on where I am at with the story. If I’m gunning to get a manuscript finished, I’ll set a goal to write 1000 words a day. Then I know that I will at least have a manuscript, in some form, within a month or two. It’s only then does the hard slog of editing begin! Ugh, editing. The bane of my existence. wish that everything would just come out of my brain the right way the first time. I usually do a combination of flying by the seat of my pants, plotting and being told where to go by my characters! They tell the story, I’m just the messenger! It's the ultimate dilemma, pantsing vs. plotting. Another example that there is no write or wrong way to write a story. I read as often as time will allow. In the times BC (before children) I used to mow through 2 or 3 books a week. Now, I’m lucky if I will finish a book in a month. There are just so many other things that end up taking priority. As a mother myself, I know the feeling. It took my almost nine years to finish my last Robert Jordan book. I’m reading Charlotte Bronte’s Jane Eyre. I haven't read that one, though I have read Pride and Prejudice and Zombies. Does that count? Don’t panic! And don’t be in such a rush. Everything will happen when it’s supposed to. If it hasn’t happened yet, it just means your not ready. Harry Potter. Then I wouldn’t have to worry about not having money to do all the other fun stuff I like to do! Yes, I would pick that one or Twilight. Don’t wait until you have the perfect idea, don’t get bogged down in creating elaborate character profiles, don’t wait until you think you have better writing ability, just don’t wait. All your ideas are perfect, you’re characters often change as you write, writing ability can be learnt during the process and your finished novel ends up nothing like your first draft anyway, that’s what editing is for. Words of wisdom, thank you. Thank you very much for taking the time out of your busy schedule to take part in this interview. I've had a lot of fun getting to know a little bit about you and your writing style and can't wait to dig into the Erlanis Chronicles (When the kids let me). 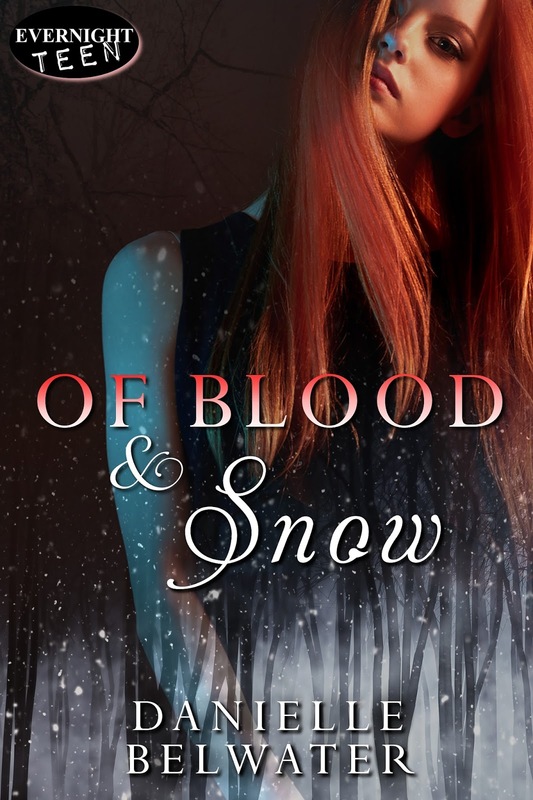 Don't miss Danielle's second novel available now to purchase.